Located in Phoenix with testing facilities in Phoenix and Tucson, we run vehicle tests year-round. We can also come to your facility for crash demonstrations or testing. My name is Michael Rosenfield. I am an engineer with a BS in Biomedical Engineering from Case Western Reserve University. I consult as a traffic accident reconstructionist and as an automotive test engineer. I initially worked in a clinical medical setting, and then switched to engineering. 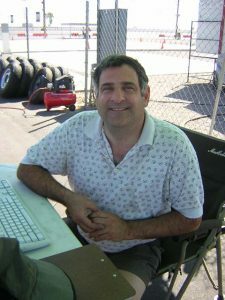 I have spent the last 15 years running automotive handling tests, component testing, component failure analysis, setting up test instrumentation, and performing automotive crash testing. This involves inspection, repair and troubleshooting of various automotive systems and components. It also involves making sure that the test vehicles are functioning correctly and according to manufacturer’s specifications. I have also been involved with numerous low-speed crash tests, with instrumented volunteers. The results of some of these tests have been published with the Society of Automotive Engineers.